Hi, and welcome to KK Moo and Monkey Too A place to inspire parents of children with additional needs, and reassure and help them find the information to make life just that bit easier. As a parent of special needs children, I know how difficult life can sometimes feel and my aim is to share our journey with you! I’m Clarissa, I’m 35-year-old, mum to two girls. My first born is Keira (KK), and she is 12 years old. My second daughter is Evie (Monkey), and she is 4 years old. Keira was born in 2006. She absolutely loves Minecraft, drawing and dramatics. Evie was born in 2014 and is a huge fan of Paw Patrol, baths and bubbles. Both girls love a bit of slime as well – much to my delight! Find us on Facebook where we post updates, pictures and general chat about life. Check out our Instagram feed for regular photos of our goings-on. 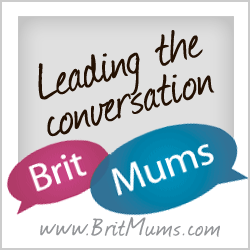 Join in with my Twitter chat, where I chat about everything from autism, reviews and days out and everything in between! A refreshing online destination that offers a unique variety of health, beauty, lifestyle, and entertainment news to inspire us all. I had the pleasure of being featured on Clarissa’s website when she invited me over for an author interview. Her questions were insightful and fun. I thoroughly enjoyed my time as a guest on her blog. Have a visit and enjoy!